One of the best exhibitions I have seen, "Andrea del Sarto: The Renaissance Workshop in Action" is, at the moment of this writing, travelling from the Getty Museum to the Frick Collection where it opens on October 5 for the lucky viewers there. 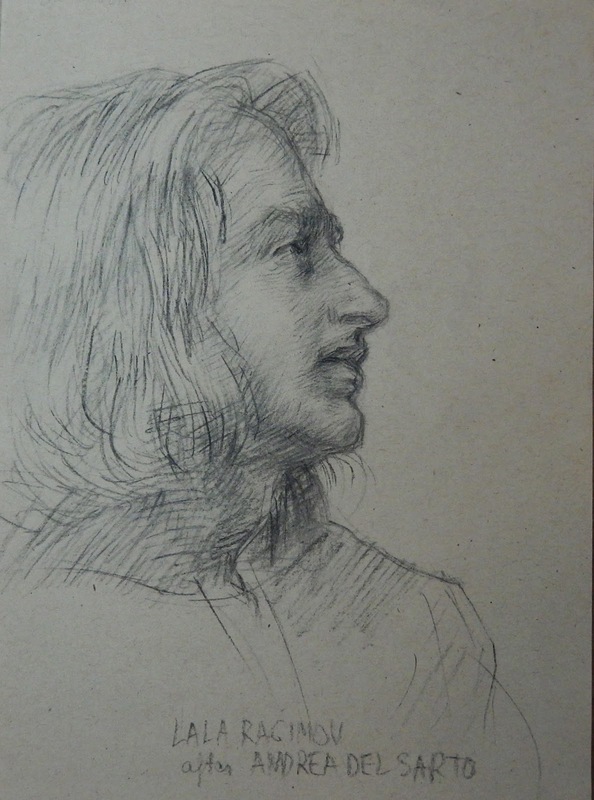 While star paintings are always on display in museums, drawings, no matter how beautiful, are hidden away in the vaults because of their sensitivity to light. This fact makes this show is a unique opportunity to see this rarely exhibited Renaissance master's most rarely exhibited works from world collections. For an art historian or any educated artist these drawings are so iconic and familiar from reproductions that it is a dream-like experience to see them "live" all in front of you together with several of his magnificent paintings. It took me a bit of time before my head stopped spinning from being surrounded by such celebrities, and I could concentrate on studying in those magical rooms. I'm very grateful for the inspiration and schooling this incredible show provided me with. Below are some of the copies and reconstructions I made at the show or inspired by it. 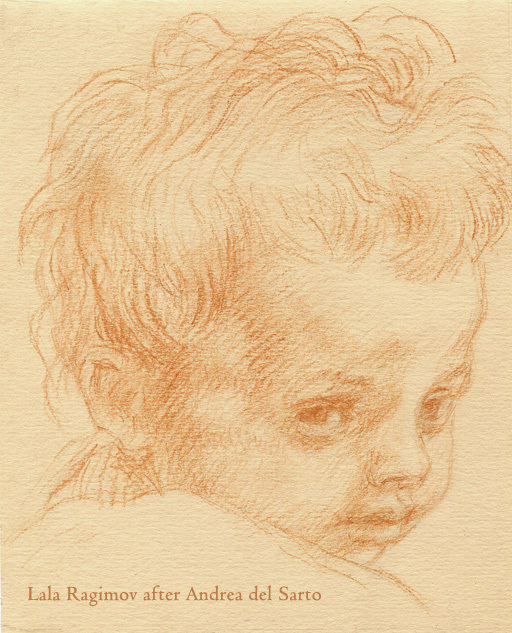 To learn, an artist in the "classical" representational tradition has to copy. When you copy from a colour print or a computer screen, you cannot compare the two drawings well because of size and medium differences. 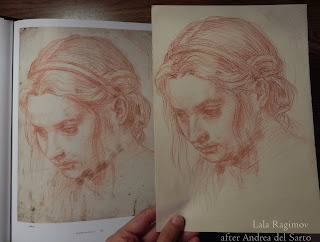 But when you are standing in one room with the original drawing, and you have a piece of genuine red chalk or a substitute and some paper in your hands, it's a learning experience like no other. 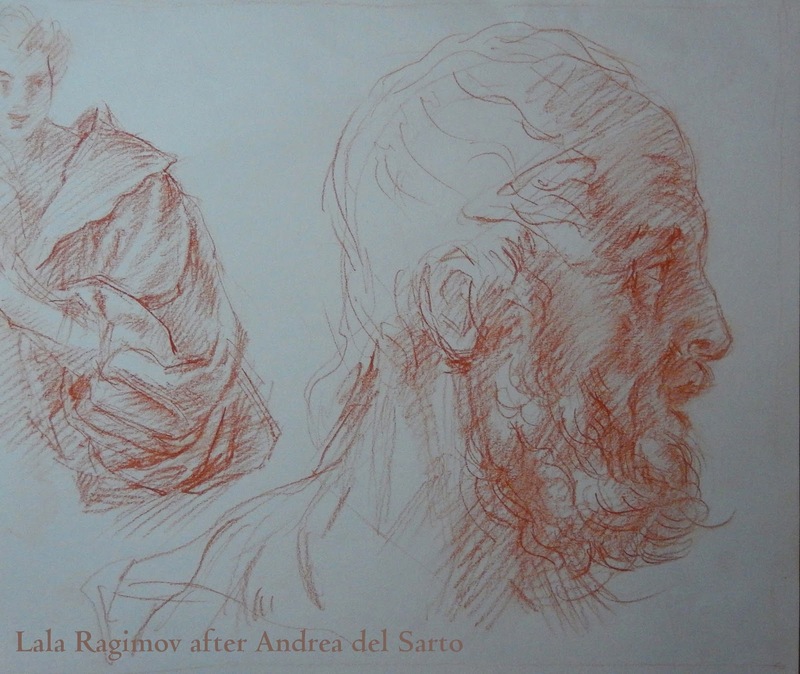 For the copies appearing below genuine red chalk (Elba, sold by Zecchi) and genuine black chalk (France, sold by Kremer Pigments). For some drawings I used the substitutes as noted. For paper I used the Fabriano Ingres laid as well as Strathmore "toned tan" (which is sadly smooth but has a beautiful irregular colour), both not authentic, but then authentic paper is not to be found anywhere. 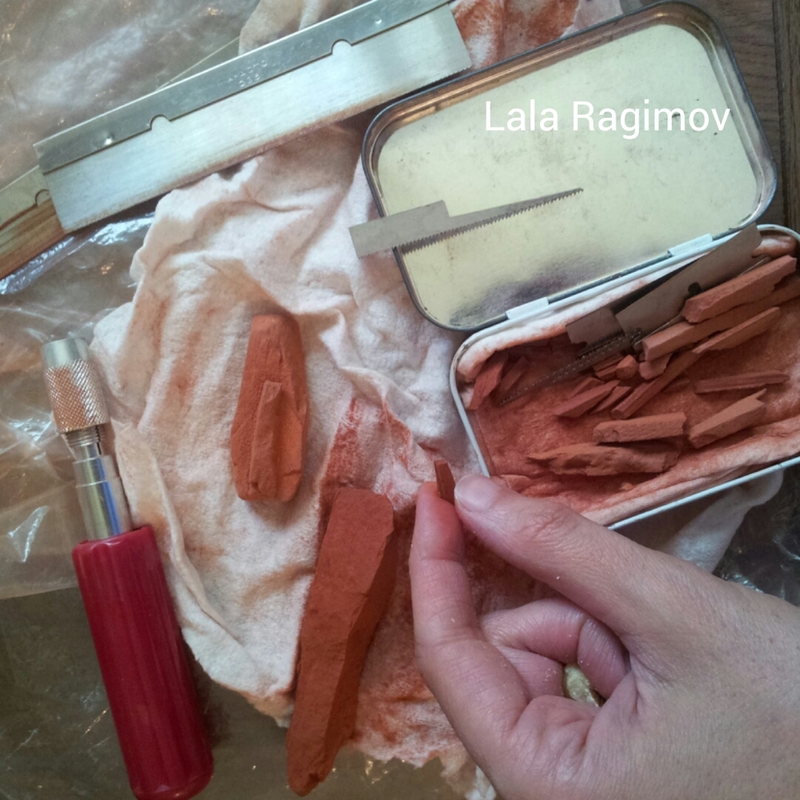 The chalk comes in chunks that I then saw into thin sticks. 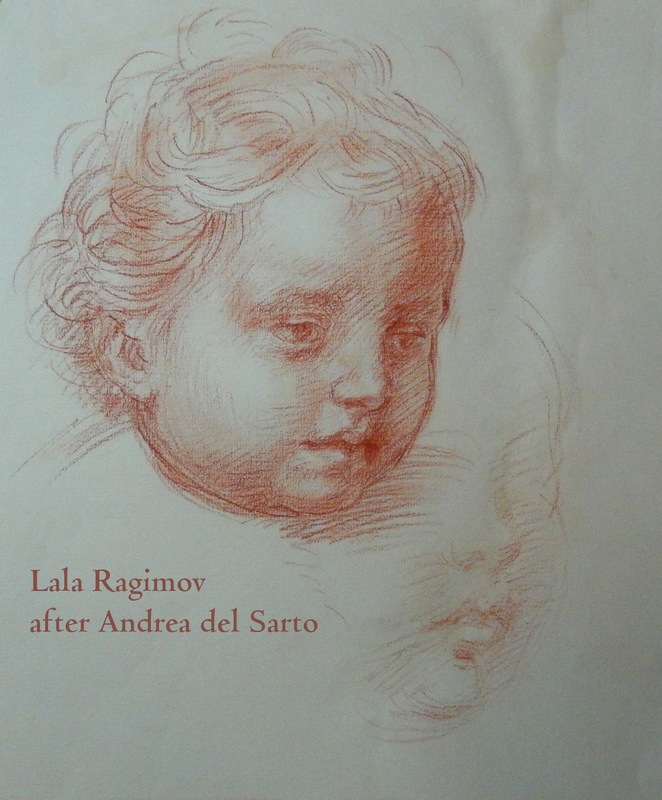 Considering some of the filigree lines on del Sarto drawings he must have sharpened his chalks very well for certain passages. 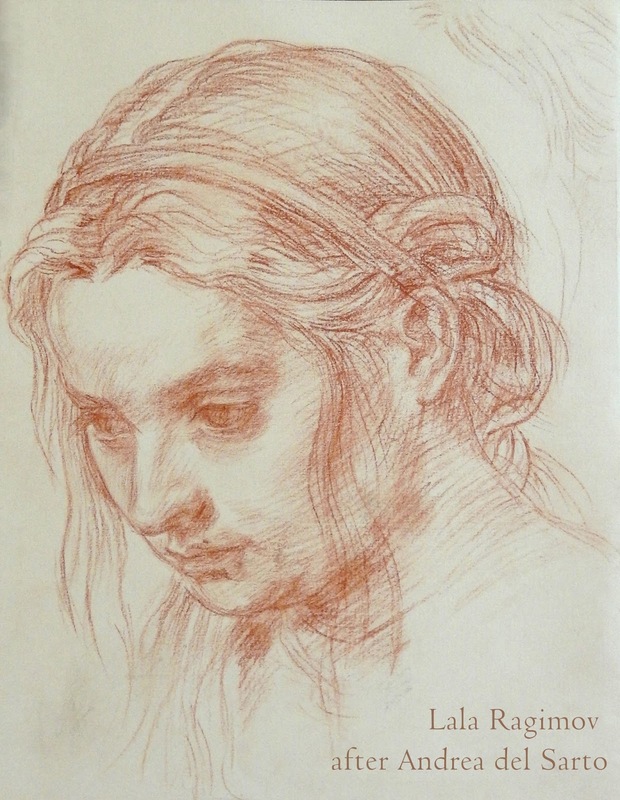 What I also noticed is that del Sarto (as well as Rubens and many others from 1500-1600s used a harder red chalk than is available now. The closest ones in hardness (though still not hard enough) are modern artificial waxy pencils such as Pitt oil base, Cretacolor oil and Koh-I-Noor Gioconda, but they don't work well because they are nearly impossible to smudge. Red chalk from Russia. Beautiful colour, but too soft.